I went to the movies this weekend, and one particular trailer made me clutch my gallon of Cherry Coke in absolute horror: Bumblebee. Unfortunately not a sequel to Bee Movie, this is a Transformers prequel, the name alluding to one of the alien robots (the yellow one who doesn’t speak). Initially, I thought that nothing on Earth would make me want to see this junk heap of a movie. 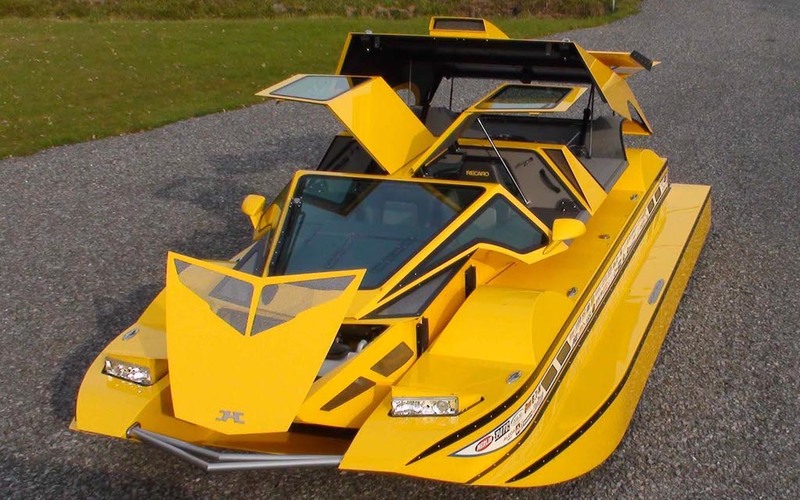 Then I saw this: the Dobbertin HydroCar, a 762-HP speedboat/hot rod hybrid going to auction September 1st. 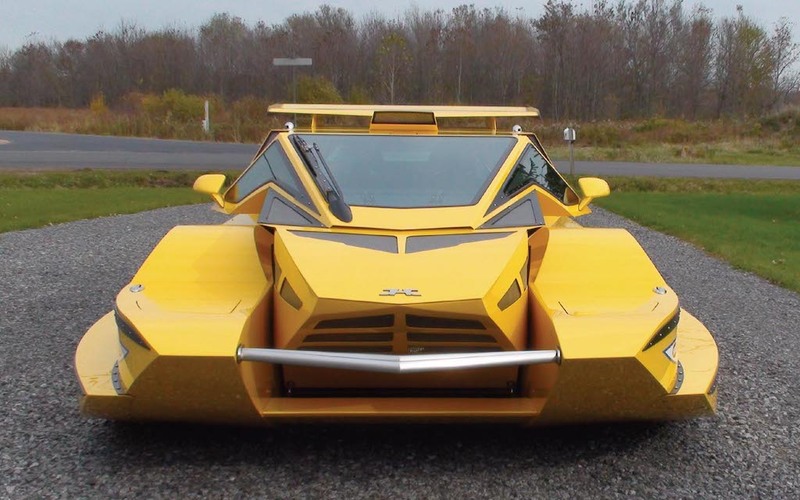 The bright yellow paint job (2006 Corvette Velocity Yellow, to be exact), ability to morph from car to boat and ‘80s-era “futuristic” aesthetic make it a dead ringer for said Transformer. Tell me you wouldn’t buy a ticket to a movie where a robot pops out of this thing. But we’ll do you one better: when this amphibious cruiser hits the 11th Annual Auburn Auction, it’ll be offered without reserve. 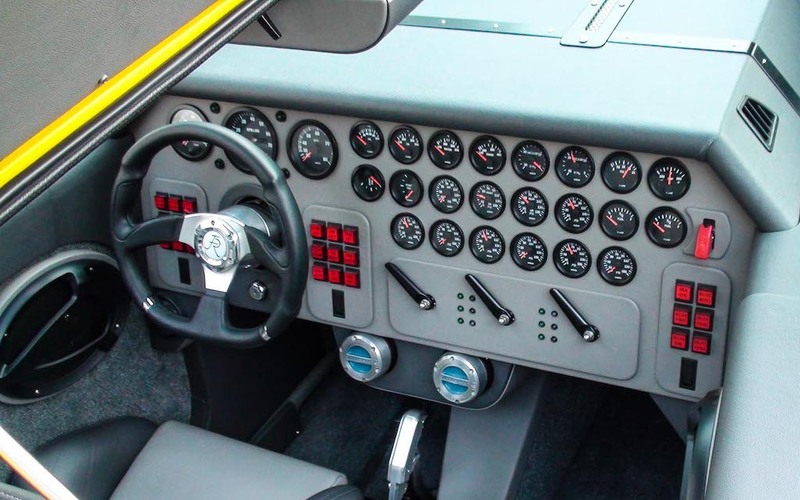 In other words, you might be able to score this gull-wing babe magnet for way less than the $1 million it took to build it. I mean look at it! It’s like Doc Brown slapped a pontoon on the bottom of his DeLorean. But the man behind the machine, as the name suggests, is one Rick Dobbertin. He’s the Frankensteinian creator behind the Surface Orbiter (another amphibious vehicle that he drove and sailed to 28 countries) as well as a variety of Pro Street cars. According to the auction listing, the HydroCar took 10 years to build, which makes sense when you get into the nitty gritty. 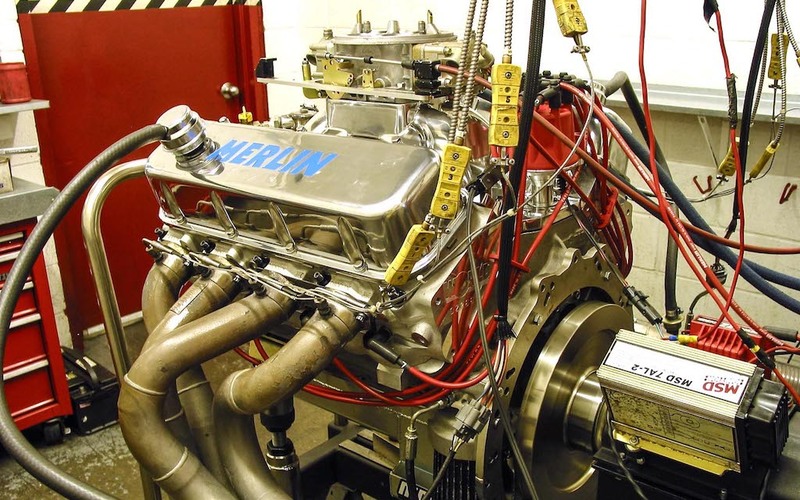 The engine isn’t simply a 572-cubic-inch Chevrolet World Merlin, it’s also “chromed in true show-car tradition.” The transmission isn’t some stock joint, it’s a one-of-one, purpose-built Quadzilla 4L80E four-speed. 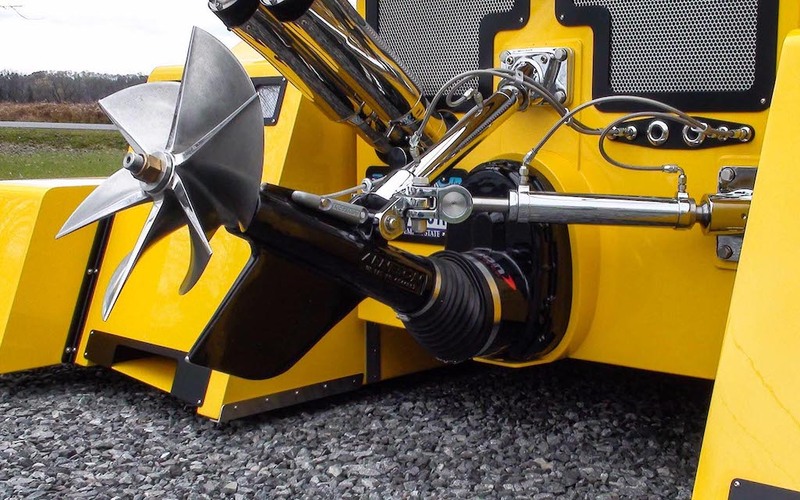 As for the transition in and out of water, three hydraulic levers control the up-and-down movement of the sponsons, axles and wheel-well doors. The HydroCar made its public debut on the cover of the January 2004 issue of Popular Mechanics. Come September, it could be making its debut in your neighborhood/wharf.